One of the most important global organisations in the food industry has made an unequivocal commitment to use natural refrigerant-based technology for energy efficiency and emissions reduction in refrigeration. The Consumer Goods Forum (CGF) has released a policy that says they are taking their refrigeration systems to natural refrigerant-based technologies. In the document: “Refrigeration Commitments & Achievements of CGF Members” 14 multinational CGF members report their progress and commitments in replacing HFC based refrigeration with natural refrigerant based systems. Download the Refrigeration Booklet. Click here to read the associated press. The Consumer Goods Forum (CGF) is comprised of over 400 organisations involved in food manufacturing and food retailing. Together CGF member global revenue is more than $3.75 Trillion p.a. Many of these companies operate in Australia including Woolworths, Metcash, Unilever, Kraft, Nestlé, Coca Cola, Pepsi, Red Bull, Heineken, SAB Miller (Fosters) and many others. Ignacio Gavilan (CGF Sustainability Director) comments about an industry committed to phasing out harmful HFC refrigerants: “We want to see further implementation of natural refrigeration systems beyond 2015. We will continue to work with civil society and international organisations, to promote the development, commercialisation and adoption of climate-friendly alternatives to HFCs”. In releasing the commitment Mr. Gavilan said: “To date, CGF members have installed low carbon refrigeration systems in over 4,000 supermarkets, and four million ice cream and drinks chiller units worldwide that employ natural refrigerants and extensive use of natural refrigerants in industrial refrigeration”. CGF members have no direct interest in selling refrigeration equipment. They are users. They care about the energy efficiency and emissions of their refrigeration systems, but they do not sell or profit from refrigeration excepting as users. Many of the drinks manufacturers care because they play a major role in providing refrigeration equipment to their customers. They have to get it right. They have worked long and hard to identify the refrigeration systems best suited for their operations. Their achievements and the lessons they have learned are well worth reading. They make it very clear that natural refrigerants based technology is superior to HFC based technology. The members of Refrigerants Naturally have made a major contribution to this work. Unilever said: “We have been replacing point-of-sale ice cream freezer cabinets with climate-friendly alternatives, using HC refrigerants. Our newly purchased cabinets have an average energy reduction of over 30 per cent compared to 2008 models and in 2014 we started pioneering technologies that are capable of providing an energy reduction of over 50 per cent”. A very low carbon footprint (CO2 has a warming potential that is 450 to 9,000 times lower than gases in the HFC family over 20 years). It is more energy-efficient and so less electricity is required (generating savings of between 10% and 20%). Guarantees in terms of safety: it is nonflammable, non-corrosive, chemically inert, non-toxic and so non-hazardous for store personnel”. Natural refrigerant-based technology is better in every way; more energy efficient, lower greenhouse gas emissions, better performance and lower life cycle cost. There are about 1.2 million commercial and industrial refrigeration installations in Australia. For many of the businesses involved refrigeration is mission critical. 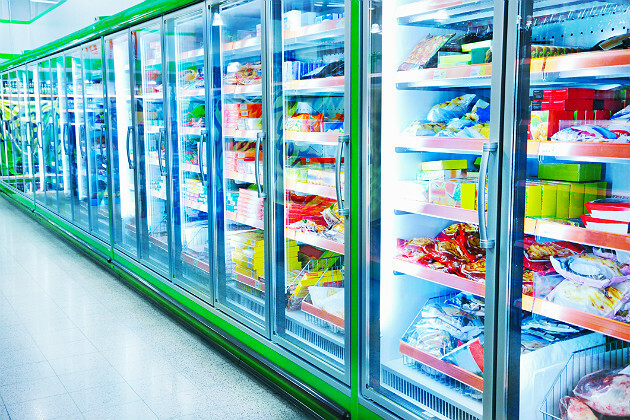 These refrigeration systems are consuming about 24 per cent of the energy consumed by the industry and about five per cent of the electricity Australia generates. The large number of air conditioning systems in Australia are also candidates for conversion to natural refrigerants. CGF members in general had little to say about safety because, despite the misrepresentation from synthetic refrigerant industry proponents, there is not a safety issue. Natural Refrigerant based refrigeration systems can and are being used safely and broadly. CGF does say that there are regulatory barriers that need to be overcome. You can see reports, presentations and video recordings of their work on our website. Cold Hard Facts 1 & 2 on the Department of the Environment website.